We bring our team to you! We come to your home or private school to treat your child for a wide variety of speech therapy issues. We are in constant communication with each other and our broad range of related professionals (Physical therapists, Occupational therapists, Developmental therapists) to best diagnose and treat your child's needs. We keep our team small and treat only clients we feel we are best qualified to treat. "Our son has made tremendous progress with his therapists from 606 Speech in just over nine months. Their teaching style models play-based learning, which is perfect for his age and personality. His therapists, who we adore, have recommended exercises..."
Meet the team behind 606 Speech. We can help you decide if your child is an appropriate candidate for a full Speech-Language evaluation via a complimentary screening. We work both privately & with the Early Intervention Program of Illinois to evaluate your child. Private evaluations are conducted at home or school. Once treatment is deemed appropriate following an evaluation, your child will begin a program based on his or her needs. We have a wide network of professionals to whom we can refer to for consultation and/or additional services upon your request. Hello and thank you for taking the time to visit our website. I created 606 Speech, LLC because I wanted to share my expertise in pediatric speech therapy with the families of Chicago. I have been a practicing Speech Language Pathologist for over fifteen years. I have worked in many different settings across a wide spectrum of specialties. I remember one of my professors in graduate school telling me Family Based Therapy was my calling, and it took me trying almost every other specialty within Speech Therapy to confirm that working with the pediatric population in a one to one setting is my passion. 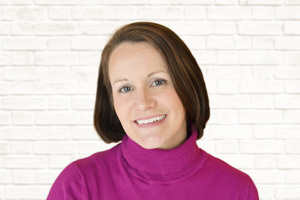 Emily Stith, MS, CCC-SLP, works primarily with preschool and school-aged students focusing on their social pragmatic, language, and articulation skills. Emily earned her Speech Language Pathology degree from Northwestern University in August 2012 and a Bachelor’s Degree in Communication Sciences and Disorders, with specializations in Education and Psychology, from Michigan State University in 2010. She is also a certified teacher in the state of Illinois and currently teaches and provides speech services at Green Bay School, in District #112. Catherine Gillespie is a Speech and Language Pathology Assistant (SLPA). She recently earned her certification as an SLPA from the College of DuPage. Catherine completed her clinical training with children ages 0-3 through the early intervention program as well as with children 3+ years though school age. Catherine also holds a BA in Communications and Elementary Education from Marquette University. After graduating from Marquette, Catherine taught in a 4/5th grade split classroom in Milwaukee, WI. Catherine spent the next two years on the west coast volunteering in an AmeriCorps service program and directing a before and after school program. In 2005, Catherine returned to Chicago and began working for the Chicago Public Schools. She spent six years training school administrators on school business practices and financial planning. Catherine enjoys spending time with her husband and their 13 month old son, jogging, and working on DIY projects around the house. Catherine and her family live in the Irving Park neighborhood of Chicago. Elizabeth Abowd, SLPA/L, works primarily with the birth to five population providing speech and language intervention services for a variety of diagnoses including expressive and receptive language delays, articulation disorders and phonological delays. Elizabeth earned her Speech Language Pathology Assistant degree from College of DuPage in the Spring of 2012, a Master’s in Music Performance from Roosevelt University in 2007 and a Bachelor’s Degree in Music from DePaul University in 2003. After years traveling, performing and teaching classical opera, Elizabeth decided to return to school and make a career switch to Speech Therapy. She hoped to combine her interests working with children and learning more about voice. Along with working as an SLPA, she has a private vocal studio and helps prepare state champion speech and drama High School students-with a core technique based in proper breath support, posture, alignment, and vocal health. In her free time Elizabeth enjoys running, yoga, cooking and travel. Elizabeth lives in the Ravenswood neighborhood with her husband, and two four legged “babies” Charlie and Maggie. Kelly Nelson, MA CCC-SLP, is a speech therapist who received her Bachelor’s degree in 2013 from the University of Wisconsin-Madison for Communication Sciences and Disorders and Education. 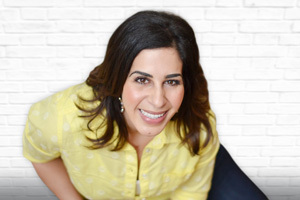 In 2015, she graduated with her Master’s degree for Speech and Language Pathology from the University of Minnesota-Twin Cities with a certificate in Bilingual and Multicultural therapy. Kelly enjoys working with children of all ages, but primarily works with children ages birth-three years old through the Early Intervention Program. She was worked with children of varying abilities, though specializes in articulation and phonological disorders, Autism Spectrum Diagnosis (ASD) and receptive and expressive language disorder. In her free time, Kelly enjoys cooking new things, gardening and exploring the Midwest with friends and family. Emily Stith works primarily with preschool and school-aged students focusing on their social pragmatic, language, and articulation skills. 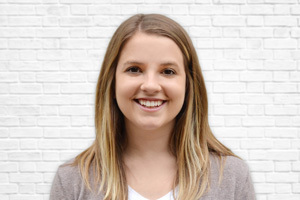 Emily earned her Speech Language Pathology degree from Northwestern University in August 2012 and a Bachelor’s Degree in Communication Sciences and Disorders, with specializations in Education and Psychology, from Michigan State University in 2010. She is also a certified teacher in the state of Illinois and currently teaches and provides speech services at Green Bay School, in District #112. We use treat speech production errors though a variety of therapeutic measure. We use place cues, visual and auditory modeling and prosody cues to help teach your child how to correctly articulate appropriate sounds expected at their age. We have experience treating sensory issues related to feeding as well as the motor aspects related to chewing and swallowing in young children and infants. Childhood apraxia of speech (CAS) is a neurological childhood speech sound disorder in which the precision and consistency of movements underlying speech are impaired in the absence of neuromuscular deficits (e.g. abnormal reflexes, abnormal tone). Source: ASHA.org True Apraxia in children is rare .1%/.2% and often challenging to diagnose. We work in collaboration with many developmental pediatricians to help identify, diagnose and treat your child. Augmentative communication is use when your child is limited in producing speech language on their own. We have experience using PECS (Picture Exchange Communication System), We are also able to refer your child for a communication system if needed. We help teach you and your child strategies to work through episodes of dysfluency. Some degree of dysfluency is typical in children, part of their natural development, and can be transient in young children. We work together as a team with you to best help your child maximize the pragmatic, social, language and sensory issues that often accompany the diagnosis of autism. Learn more about what Autism is, at the American Speech-Language Hearing Association website. Many children have sensory which impair their ability to communicate. We work together with Occupational Therapists to help develop methods for us help your child so they can regulate their bodies and learn. We help meet our child understand language through a variety of measures. We have experience in working with reading goals, phonemic awareness and auditory processing. As in all areas, we refer to appropriate professionals when indicated for further assessment. Our daughter had a fantastic experience with her therapist, Catherine, at 606 Speech. Catherine is knowledgeable, caring and patient, especially during those early days when our daughter was feeling shy and not wanting to participate. Catherine gave us lots of helpful tips for practicing different words and speech patterns, and came up with fun games that really engaged our daughter during her sessions. Within months, our daughter looked forward to her “peech” sessions with Catherine and we could see a marked difference in her speech and her confidence. Within a year had progressed so much that she was back on track with her age group, and her newfound ability to communicate truly helped her personality to shine through! In addition to being a great therapist, Catherine was always punctual and flexible on days when we needed to reschedule, etc. She responded quickly to all my questions and emails, and made the process so easy for us parents. I would strongly recommend Catherine, Meg and the 606 Speech team to anyone, and we couldn’t be more happy with our experience. Our speech therapist, Liz Abowd has changed our lives. My son’s speech was extremely limited before his therapy began. Over the course of the last several months, however, I have seen significant growth in his speaking and comprehension. More impressively, I observe a considerable spike in speech abilities every day Liz is there. In other words, I leave that morning and come home to a child who has learned a lot more than his average daily growth, and it is always on “Liz days” that this happens. For this reason, I feel very comfortable linking the extent of his growth to his therapist. In addition to her obvious competence, I am repeatedly impressed by Liz’s professionalism. ... Liz’s job might be impossible if she did not love or simply was not good at interacting with kids – but her warmth and care for my son really does go above and beyond. I cannot say enough good things about Liz and Meg. We started with speech therapy when my son Jake was 18 months old. He could only muster a few words and we were both frustrated with our inability to communicate with one another. Liz started us off with a few simple, common sign language signs to use, and suggested we assemble a picture board to allow him to associate the picture with the sound of the word. Right away we were able to start communicating better with each other, and my day to day interactions with Jake became infinitely better. We've recently just graduated from the program, but Liz and Meg gave me some excellent additional resources to use and reference so that I can keep working with him. I'm going to miss having them both in our lives. How do you thank somebody that has truly been an invaluable gift to your family? G. was 14 months old when Meg Chalmers came into our lives. He wasn't imitating in speech or play. He'd bang his head against walls. He hadn't said mama yet, or anything really. I was worried he had autism. I so badly wanted to unlock doors for him and help him thrive in his environment, but I was lost. Enter Meg, the most AMAZING speech therapist we could have hoped for. An answer to a nervous Mommy's prayers. She is kind, gentle, patient, loving, silly, and compassionate. Week by week she helped Gray see through the fog. She gave us reassurance and strategies. The twins love her so much they squeal when she arrives. She has not only loved them like her own, she's opened up a world of communication for G.
Hearing him say, "I love you," still gets me. He continues to learn and grow each day. I do not know where we'd be without this absolute GEM that was sent to us. I am humbled and honored to have known you, Meg. We will never forget you!!!!! Over the next several months he slowly but surely began to use speech instead of the signs and pictures (though, he still uses the signs out of habit!). She gave me tools and suggestions each week for us to practice. She came equipped each week with new toys and games but always brought at least one old favorite. I was most impressed with her ability to modify her lessons to accommodate Jake's mood. If he was restless, she'd make the lesson a running game. If he saw a book he wanted to read, she'd switch to reading the book. Anything to keep him engaged. I wanted to contact you and let you know how impressed we are with Liz. I know we've said over and over that T's language skills have exploded since she started working with Liz, but we were blown away over the long holiday weekend how much more clearly and how many more words we've noticed with T. She's not only saying more: she's much more able to express her feelings and needs; she tells stories about experiences she remembers and expresses them in ways that we can understand; and her imaginative play and the stories and actions that go along with it are just amazing. She had none of these skills a month ago! We are so happy with the work Liz has done. Thank you so much for helping our daughter! In the eight months we have been working with her, Meg has been a godsend to our family. Her deep theoretical and practical knowledge base, endless patience, and gentle nature make her not only an effective speech pathologist, but one of our little girl’s favorite people as well. Meg creatively tailors our daughter’s therapy to her unique speech-related needs, her separate sensory needs, and her idiosyncratic toddler interests. As a result, our daughter remains motivated and engaged–and has made far more progress than she would ever have been able to otherwise. Meg also helps us, as parents, to meaningfully support throughout the week the work that she and our daughter do during their sessions. We simply can’t recommend Meg highly enough. My four year old was experiencing speech delays and it was somewhat difficult for anyone besides Mom and Dad to understand. We worked with 606 Speech for less than a year and now I think she sounds more articulate than the average 5 year old, wow! Fantastic improvement. I think what we appreciated just as much was the approach. Meghan and her team have a beautiful approach with children; positive, supportive and encouraging. Whitney just loved the time she spent with the 606 Speech team. It's hard to find good solution to issues with your kids, and such a blessing when you find an amazing team like this. Meg and Catherine have both worked their magic with my 7-year old daughter. We have seen major improvement not only in her speaking skills but also in her confidence. My daughter looked forward to every session. They met her needs by making it fun! They met my needs as a parent, by building upon each session and communicating goals and accomplishments with me. We are thankful to have worked with 606 Speech. I have had the pleasure of Meg working with my twins through EI over the past 2 years. I am not new to speech therapy as my older child was in speech therapy for 5 years. I was very fortunate to have Meg work with our younger children. Our twins were born a few weeks early and at this time you are not thinking about speech. As they grew I noticed they were not babbling or making sounds like other infants their age. After an evaluation with EI, speech was approved for delay in both of my children. One child has a motor processing issue and the other was able to talk but not at her developmental age. Meg worked diligently to address each of their issues and find out the underlying problem to help them talk at their level according to age. She was not only a superb therapist but was a great resource. My little guy was delayed in several areas but Meg continued to work with him on his speech from one year until he was three. She brought in several types of techniques to assist in his motor planning. If one technique was not making progress, she would research the issue, talk to other therapists and add in other ideas to assist him in his motor planning. She worked well with our other therapists to get the most benefit from the therapy. Not only did she bring in techniques she provided ideas on outside resources for us that may benefit our children. In addition to working with our children, she taught us as parents what we can do between sessions to help our children. This was very helpful and we could see progress when we worked with them. Her experience and expertise was a tremendous help to us as parents. At the infant toddler stage a parent hopes “they will catch up or grow out of it” Children are sponges at this age and although you think they do not hear or understand, they do. My children are still in speech at the age of 4 but they have progressed very well and it is because of all the foundation skills Meg taught them as toddlers. Their speech skills have progressed very quickly and they will be in preschool ready to be with all the other kids. Thanks Meg for your diligence, guidance and expertise. 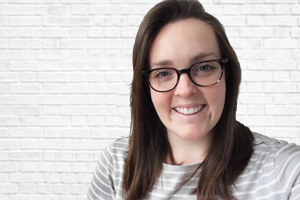 Having worked in the school and home setting as a co-worker and co-treating therapist throughout the past 10 years, I can say that Meg Chalmers possesses multiple qualities that make her a fantastic Speech Therapist. She has proven to be warm and nurturing communicator with her patients, their parents, other therapists and related medical professionals. Her treatment of the child maximizes his or her ability to make progress. Meg solves any difficulties collaboratively taking into account the goals of the family. She is a self-starter with a thirst for knowledge. Meg is continually consulting with therapists in her discipline and across disciplines as well as reading literature and taking courses to provide the most effective treatment for the children. Copyright © 2019 - 606Speech.